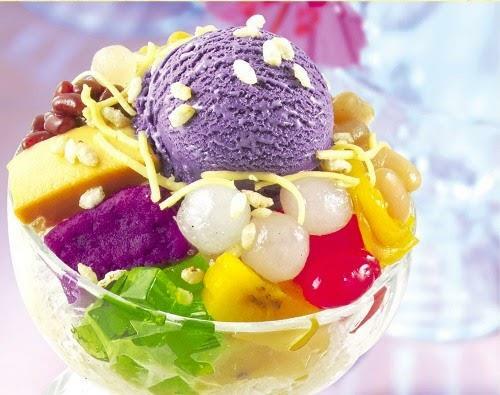 Halo-halo is one of pinoy’s all-time favorite cooling foods especially during summer or heat months. Making classic pinoy halo-halo in your home kitchen is as easy as 1-2-3. It’s also a good negosyo idea if you want to have an additional income. Here’s a classic halo-halo recipe. 1. Place crushed ice in a tall halo-halo glass or bowl. 2. Top with assorted halo-halo toppings. 4. Sweeten with sugar according to taste.